Happy Friday friends!! I want to thank you all so much for taking the time to do the survey and thank you for continuing to read this little space of mine. I have a lot of new ideas thanks to all your feedback and you'll be seeing some tutorials and videos very soon! Lets get right to the favorites this week - linking up with Amanda and April. We usually have very basic breakfasts on the weekends, but lately I've been wanting to dress it up a bit - enter in these heart shaped scones! I've actually never made scones from scratch, but they look pretty easy, even for a novice like me! I'm a palette lover - I can't get enough of them and when I spotted the Anastasia of Beverly Hills World Traveler Palette a few months ago, I couldn't stop thinking about it...so I scooped it up this week - as some of you may have seen on SnapChat (@blovedboston)! The colors are rich and pigmented and my favorite is definitely "intense gaze", with bellini coming in a close second since it's my favorite cocktail! I'm not going to lie, I've been watching ABC Family all the time recently and it's because their line-up of new (and new to me) shows during the last bit of summer has been so great! Including Kevin From Work that just started last week. Episode 2 is even better than the first and the quick humor and one liners always keep me interested in a show. Also loving Young & Hungry! I'm not even sure this would be seen as a DIY or more of smart use of space. 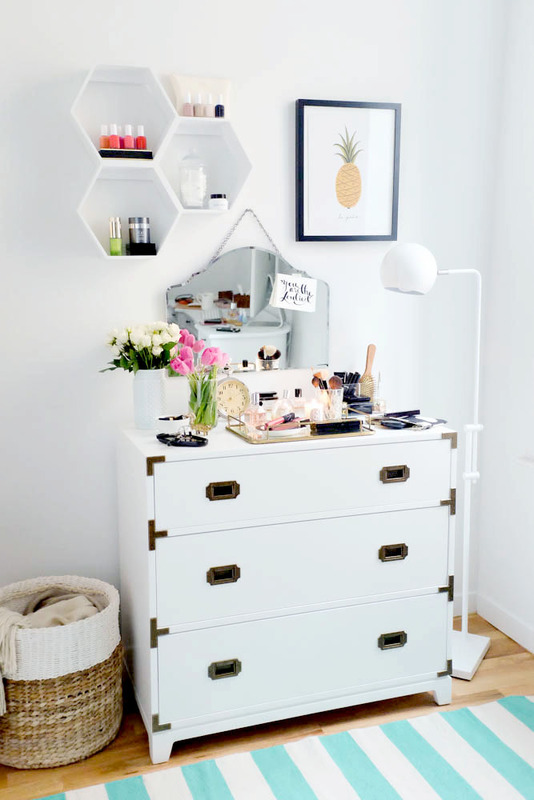 I came across this article of how to make the most of your dresser space and love how they used the honeycomb wall shelf for the items that might be a bit harder to store on the dresser. Will be tackling this very soon! + A little shameless plug, but in case you missed my post on tips & tricks to make blogging more efficient check it out here. 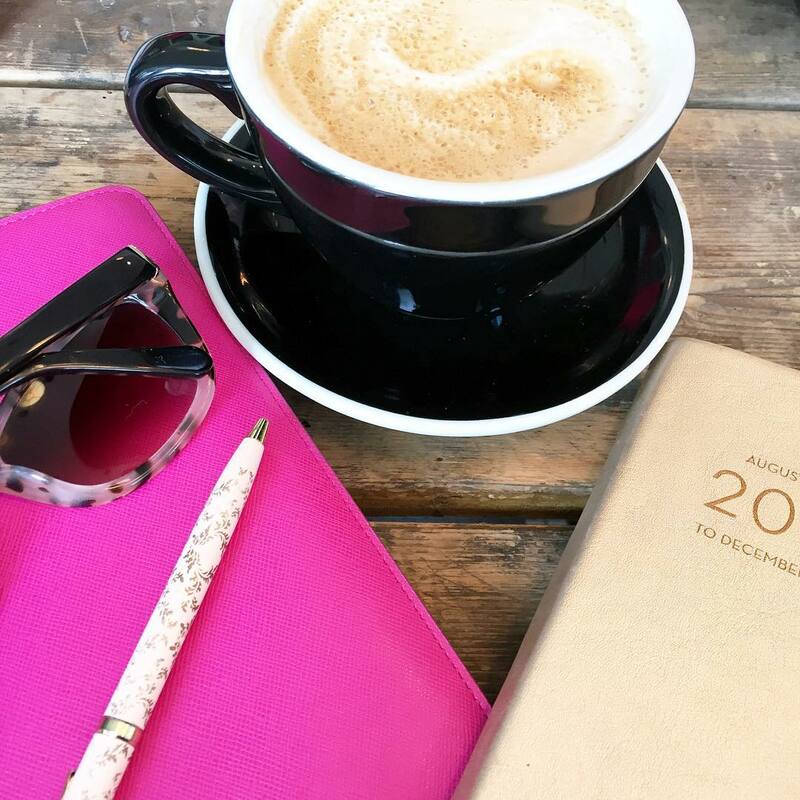 + Are you a habitually late person, read these 6 tips on getting yourself to the places you need to be with time to spare + Which Nancy Meyers kitchen is your favorite? I'd have to say I'm pretty excited for the movie The Intern with Robert DeNiro and Anne Hathaway next month! Haven't seen the trailer - check it out here. Hope your Friday goes smoothly - see you back here Monday for Weekending! 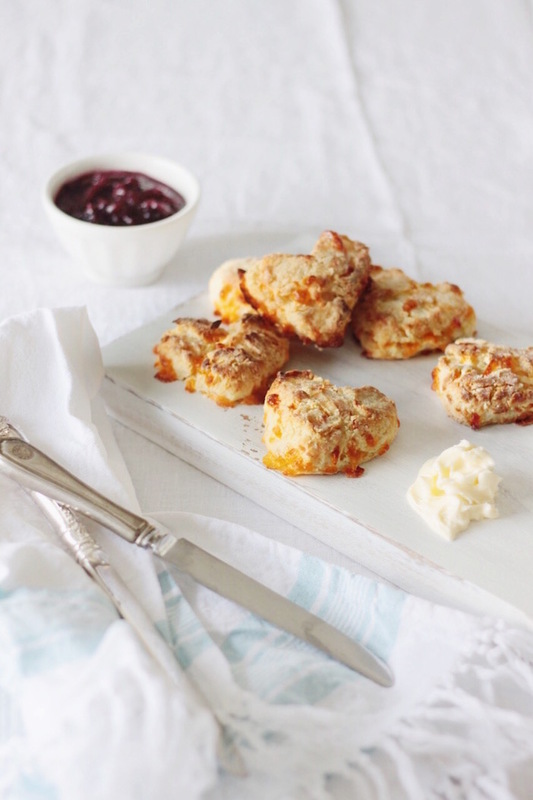 Those scones... yes please! And you need to do a full review of that palette! I want to see how those colors look on, they are so pretty! Loving that honeycomb wall space too, so fun and such a good use of space! Happy Friday pretty lady! Scones, yummy! I've always wanted to make them at home too. I've heard you want the butter to be cold so it cuts better, this girl has some great tips [http://sallysbakingaddiction.com] and her recipes are amazing! I can NOT wait for the movie the Intern. We saw the preview awhile ago in theaters and all of my family wants to see it. De Niro can do no acting wrong! I need to check out the dresser article, the honey combs look so chic and functional! Those scones! Oh my!! And I'd love a video tutorial with some fun combos using that fabulous palette. I have one palette but keep it pretty safe when using it b/c ijust don't know what else to do! ha! I love the use of that space - and with 2 more babies coming I need to be better about usign space more efficiently! Checking out the kitchen article, and looooooving that DIY you posted! Have a great weekend up in Boston, love! I'm looking forward to seeing the Intern too! It looks so cute! Oh the honeycomb shelfing is super cute. I like how you can use the top of it to hold stuff too. Probably would work for the bathroom too. I love ABC Family. So many good (feel good) show options. Those honeycomb shelves are so fabulous! 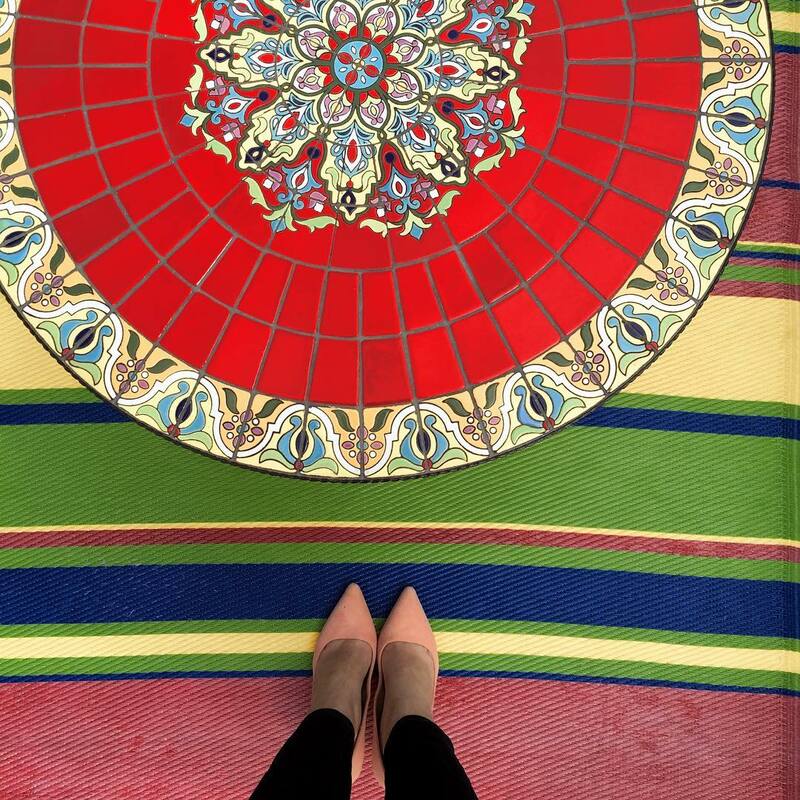 What a stylish addition to any room. The honeycomb shelves are so smart! I have been dying to re-do a dresser in that campaign style, but the hardware is very expensive! 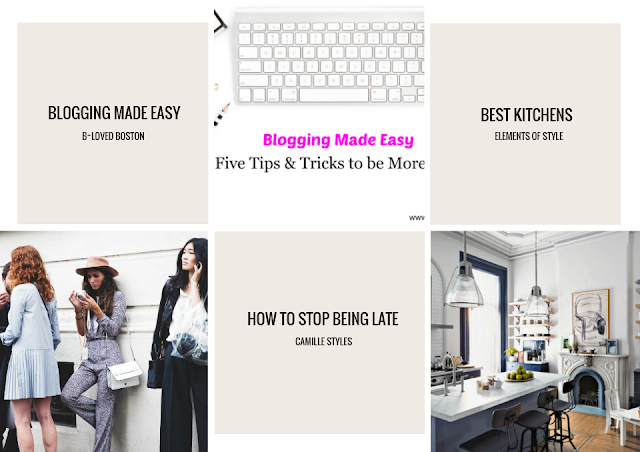 Btw your blogging tips were awesome I'm going to go pin them! xo Have a great weekend! Stop it! Heart shaped scones??? LOVE!! I make blueberry scones so giving these a try!!! Thanks again for the blogging tips. Happy Friday most beautiful girl in Boston!!! I need to read that article about not being late even though I know the answer to it and it's called blogging. Just have to respond to one more email! I think you need to try those scones they look so good and pretty ;-) Hope you have a fab weekend! love that dresser, can't wait to check out the article, have a great weekend! loving the honeycomb shelves. esp in white - so chic! and that palate looks great! i love playing with new colors i may not have tried before. so fun. have a wonderful weekend and great friday love!! Those heart shaped scones are so adorable! I would love to give them a try - I'm usually a boring eggs and toast person. The palette is also adorable - I will need to follow you on snapchat! oh my those scones look amazing! that dresser is fabulous, love how they have stored everything, and that honeycomb shelf- LOVE. want it in my life. Thanks for recommending the ABC Family shows. I need some other stuff to watch besides Bravo all the time! Have a great weekend friend! Those scones are so cute! I've never made them before either and I'm not sure why because they are supposed to be easy. Dressing up breakfast a bit more on the weekend sounds like a great idea, we're so boring with our Greek yogurt every single day! I was thinking about getting that Anastasia palette but restrained myself! It's so gorgeous! And those scones look YUMMY! The Intern looks like it's going to be so cute! That palette looks sooo pretty! I don't know if I would wear some of the brighter colors, but it would be nice to have them just in case since all my other shadows are totally neutral! 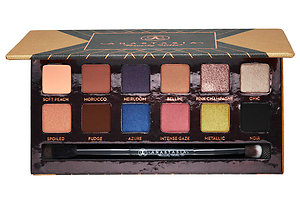 i have been eyeing that palette--it just looks SO good. Glad to know it's a winner. I seriously loved Nancy Meyer kitchens--glad to know I'm not the only one who notices those details. have a great weekend, biana! I saw Kevin From Work on demand the other day but didn't know anything about it - I will have to look into that! I love scones! I made these maple pumpkin vegan scones the other day that are heavenly, so I'll try making coconut ones or another flavor! Those heart shape scones look so cute and so yummie. Love me some scones. Haha great minds think alike... I totally want to see the movie The Intern. It looks so funny. Ok, I love that dresser set up. What a great use of space. I think I need try that. Hope you have a great weekend!! I love that you watch ABC Family! I've been watching it for years. Now I can just blame it on my kiddo(s) but I actually would choose to watch it, lol! Have a great weekend! Love that little DIY. I don't have a dresser so my bathroom counter is an explosion of products! I like those little honeycomb boxes on the wall with nail polishes, etc. Those scones look so good! Love that they are heart shaped too. And I must check out this palette, those are some great colors! P.S. I keep forgetting to add you on Snapchat. Adding you now! Have a great weekend! I'm the most boring breakfast person ever - I have cereal almost every day, haha. I need to mix it up, starting with those scones! YUM! Happy Friday! Those scones are so cute! And I love that dresser. Have a fab weekend! Love those honeycomb wall shelves! What a great use of space! I've been looking for a new palette. I've been using Naked 2 for a while but want to switch it up. thanks! Those honeycomb shelves are awesome. Pinned that article for future consideration. Thanks for sharing! I love scones!!!! I grabbed some at Publix last week as a breakfast treat because I just love them so much and rarely ever indulge. How awesome to have a recipe to try them myself! And I love those honeycomb shelves too!!! I think they would be super cute over my nightstand since we have a TV taking up the precious dresser space. Hope you have a great weekend! Those scones look delish! Also I have not heard of Kevin from Work! I need to get onthat! That breakfast looks amazing…ugh so hungry. I hope you have a great weekend! the heart-shaped scones are too cute. any heart-shaped treat is a win in my book! Those scones look yummy & cute! I've heard good things about Kevin At Work & need to check it out! Love the Honeycomb shelves. Going to check out those shows I have seen commercials for Kevin at Work and it seems funny. I think everyone should read the how not to be late. Such a pet peeve of mine! Those scones look SO yummy. We usually make a good breakfast on Saturday mornings but unfortunately I have to work tomorrow AND Sunday wahh :( maybe next weekend! Have a great weekend lady! Please make those scones...with cheese and bacon...and share them, mmk? ;) Love the setup of the vanity; so pretty and chic! And your tips are fabulous; I'm so glad you shared the link again because I'm definitely going to be using some of them. Happy weekend, girl! Love that palette! Beautiful colors! Happy Friday Friend! I had my makeup done at Sephora and the girl used the Anastasia palette, and I loved it! Kevin from work is so funny, just completely caught up with Young & Hungry such a fun summer show. Have a wonderful weekend! Would you consider doing a post about how to combine two or three eyeshadow colors? Just found your blog and I love it! That new color palette is gorgeous and I love the DIY dresser set up! Love Young and Hungry! And those scones look so cute! 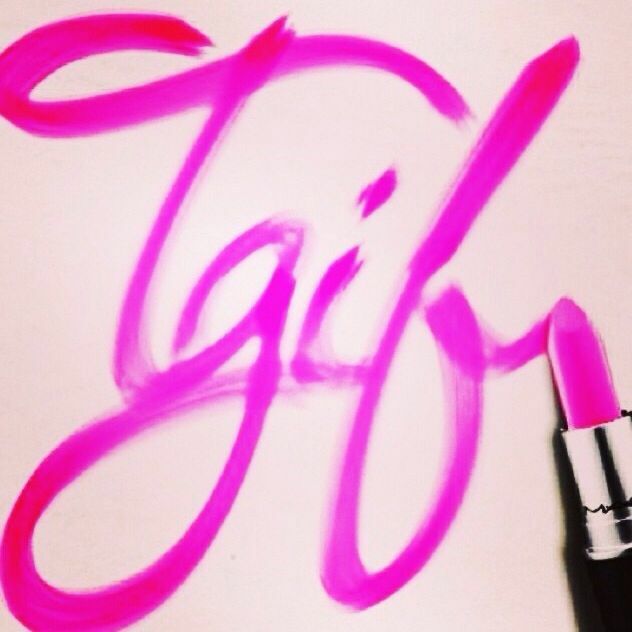 Hope you have a fabulous weekend lady! I've made scones from scratch before. They are really yummy and relatively easy to make. We're all about eggs and bacon on the weekends. Yum! I absolutely loved the post with all the kitchens from Nancy Meyer's films - I would give anything to have a kitchen/home like that! Off to read the article about how to make the most of your dresser space ... have a great weekend, lady! Have a great weekend Biana! I haven't heard of those shows so I'll be on the lookout! And that's a great idea for my dresser! Have a great weekend, Biana! Fun fun photos! Love it! I need to see more of the makeup pallet! Full review?! Those scones look so yummy! Enjoy your weekend, doll! I really love that scone recipe! So cute. Also, the article about the honeycomb on the wall is perfect. I'm also loving that article on how to get places on time, because you know that's a struggle for me! Happy Weekend, lady! xo! Just found your blog and I'm excited to follow you! I haven't seen those shows, I need to catch up immediately! I'm excited to read those blog posts and o my goodness, I can't wait to see The Intern either, Nancy Meyers is my spirit animal. I’ve been feeling that same way about breakfasts – we never do anything special – I’m hoping in the fall when we have more time to get in some fun weekend breakfasts at home! 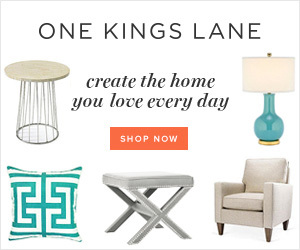 I love what they did with that dresser space – gorgeous! I hate making breakfast only because it's always a rush, I never have enough time to make it or eat sometimes before i rush out. But i love the dresser my favorite part is the wall shelves cute idea. Those scones look adorable (and yummy)! Ok, those heart shaped cones are too cute!!! That dresser space is so lovely! I wish I had time in my hands to do as such! Ugh, I need that DIY in my life!! I hate my cluttered looking dresser. Also, what color is bellini in that pallete...intense gaze is the pink one right? Love those pigmented looking colors. Heart shaped scones for the win!! That honeycomb wall shelf is super cute!! I would definitely do that! Love your dresser!! And getting a key board for the iPad is such a great idea! !